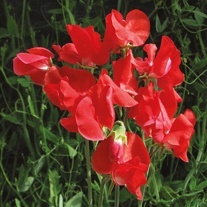 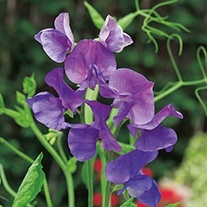 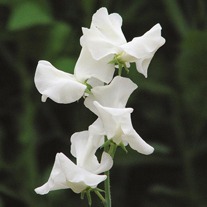 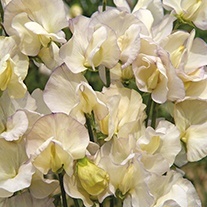 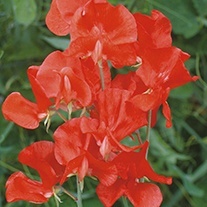 Sweet Pea Seed, Flower seeds delivered direct by D.T.Brown seeds. 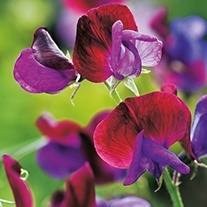 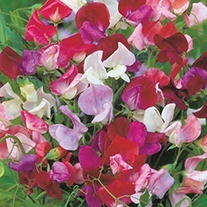 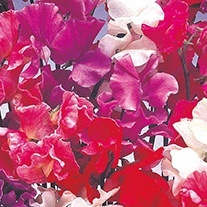 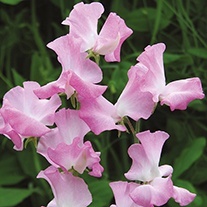 For curtains of colour with masses of cut-and-come again flowers, sweet peas have no equal. 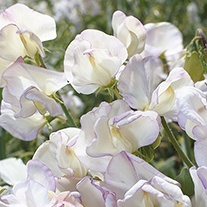 The older grandiflora varieties have smaller flowers, but what they lack in size they more than make up for in fragrance. 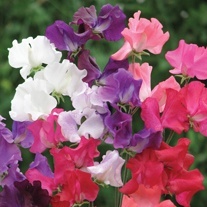 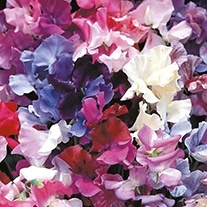 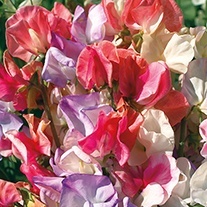 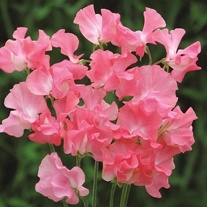 Sweet Peas grow best in full sun in fertile, well drained soil and can grow up to 180cm/72in (unless otherwise stated). 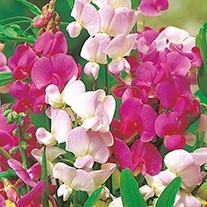 Why not plant up some containers on the patio where you can enjoy the sweet fragrance and colourful blooms all summer long!